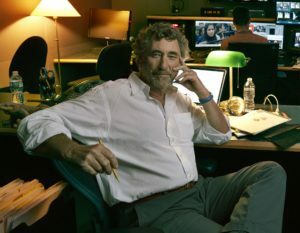 David Fanning, FRONTLINE’s founder, served as executive producer of the series from its first season in 1983 until 2015. He is now the series’ executive producer at large. After 35 seasons and more than 600 films, FRONTLINE remains America’s longest-running investigative documentary series on television. The series has won all of the major awards for broadcast journalism: 82 Emmys; 34 duPont-Columbia University Awards; 20 Peabody Awards; 16 Robert F. Kennedy Journalism Awards; eight Television Critics Awards; and eight Banff Television Awards. In 1990 and in 1996, FRONTLINE was recognized with the Gold Baton — the highest duPont-Columbia Award — for its “total contribution to the world of exceptional television.” In 2002, the series was honored with an unprecedented third Gold Baton for its post-Sept. 11 coverage, a series of seven hour-long documentaries on the origins and impact of terrorism. Fanning — who was awarded Harvard University’s 2010 Goldsmith Career Award for Excellence in Journalism and recently received the 2013 Lifetime Achievement Emmy Award — began his filmmaking career as a young journalist in South Africa. His first films, Amabandla AmaAfrika (1970) and The Church and Apartheid (1972), produced for BBC-TV, dealt with race and religion in his troubled homeland. He came to the U.S. in 1973 and began producing and directing local and national documentaries for KOCE, a public television station in California. His film Deep South, Deep North (1973) was a PBS/BBC co-production and the first in a long succession of collaborations between U.S. and European television. In 1977, Fanning came to WGBH Boston to start the international documentary series WORLD. As executive producer, he produced and presented more than 50 films for PBS in five years. With director Antony Thomas, Fanning produced and co-wrote Death of a Princess (1980). Then in 1982, again with Thomas, he produced Frank Terpil: Confessions of a Dangerous Man, which won the Emmy Award for best investigative documentary. In 1982, Fanning began the development of FRONTLINE. The series has worked with well over 200 producers and as many journalists, covering a wide range of domestic and foreign stories. Its signature has been to combine good reporting with good filmmaking. Reviewers and critics have been lavish in their praise, calling it “the most consistently important weekly hour on television” (Cleveland Plain Dealer) and “one of the most distinguished in television history” (The Philadelphia Inquirer). In 1987, Fanning created the PBS series Adventure, which ran for five seasons and aired 50 programs. With adventurers Lorne and Lawrence Blair, Fanning produced Ring of Fire, an epic four-part travel series that explored the Indonesian archipelago. The series produced films with travelers and writers from Peter Mathiessen to Gerald Durrell. In 2001, Fanning’s determination to bring more foreign stories to American audiences led to the creation of FRONTLINE/World, a television magazine-style series of programs designed to encourage a new, younger generation of producers and reporters. The emphasis has been on bringing a largely unreported world to viewers through a series of journeys and encounters. 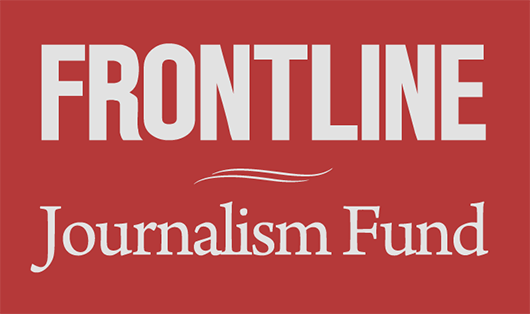 Like its counterpart series, FRONTLINE/World has made a deep commitment to its Web site (www.pbs.org/frontlineworld/), offering original Web-exclusive video and reporting by graduate journalism students and an international network of correspondents. Fanning sees it as a prototype for the future, and a place to build a community of enterprising journalists. Fanning and his wife, the television writer and producer Renata Simone, live in Marblehead, Mass.